Star Wars Battlefront 2 surely is one of the most eagerly awaited games of the year. After all, it’s a sequel to 2015’s best-selling Star Wars Battlefront, one of the top multiplayer online games of that year, which surely was a nice nostalgia trip for Star Wars fans the world over. And those looking forward to the sequel will be happy to know that EA has finally revealed the game’s release date, and has also released a stunning cinematic trailer for the game, which you can watch below. One of the most interesting things about this new game (which is being developed by DICE, the team behind Battlefield 1) is that it will feature a female protagonist, as well as a single player campaign. This was a much-requested feature by many players, and hopefully Battlefront 2’s campaign will offer a great single player experience when the game launches this fall. It’s also nice to see the game featuring a female protagonist, something that has become a trend in Star Wars of late. 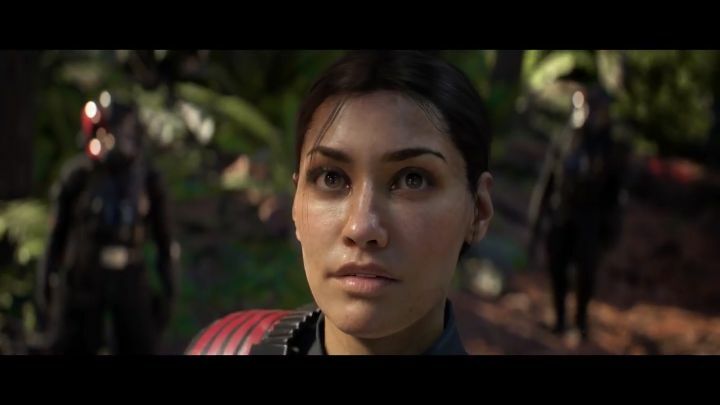 Actually, both The Force Awakens and last year’s Rogue One movies had female leads, so it makes sense this upcoming Star Wars video game has a female protagonist too. A nice twist here is that she will be fighting on the Empire’s side, a refreshing change from other Star Wars games which have only featured characters fighting for the Rebel Alliance. Of course, Star Wars Battlefront 2 will also likely feature more of the cracking multiplayer action seen in the first game, this time spanning multiple eras including characters from the Star Wars prequels (The Phantom Menace baddie Darth Maul is seen briefly in the trailer). Star Wars: The Last Jedi teaser trailer airs – will Luke Skywalker come into his own in this movie?